Thanks to the digital revolution, a 21st century education will mean becoming more informed global citizens. This is true for both Cambodian and American students involved in this project and is why we envisioned this as an educational two-way street. 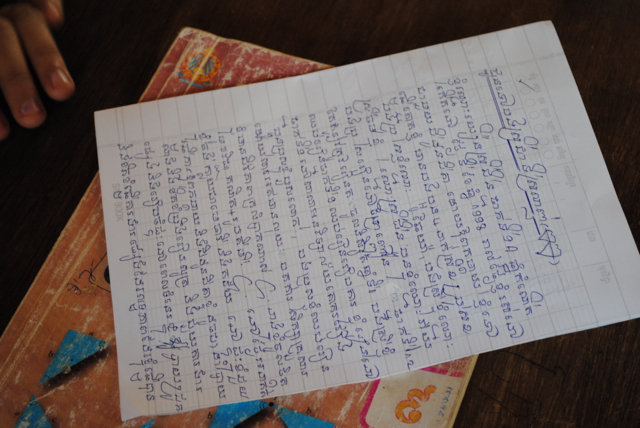 A 21st century education in Cambodia means learning English and how to use computers and the internet. Our projects supports the salary of a Technology and English language teacher who also provides Khmer literacy and career coaching. We also supply school supplies and other donations to help all our students complete middle school (grades 7-9) and proceed to high school.